We are excited to announce the arrival of our new porcelain tile sizes! Project Evolution takes ceramic tiles to a whole new level. With some of our most popular tiles now available in extremely large tile sizes, you can create bold and beautiful statements for living spaces and in commercial projects. 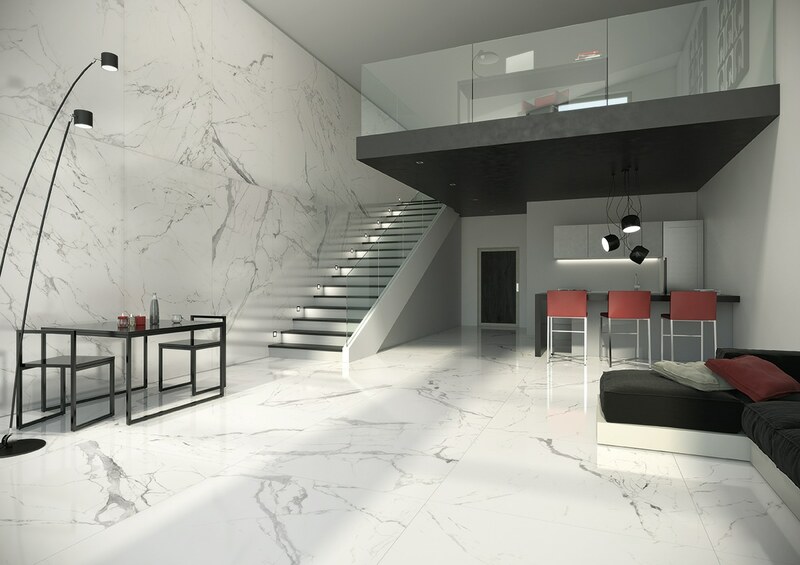 Project Evolution tiles are available in sizes 119.5 x 119.5 cm and 119.5 x 239 cm and are 9 mm thick whilst Project Evolution Endless tiles take the concept even further and are available in sizes 160 x 160 cm and 160 x 320 cm and are 6 mm thick. Why Use Project Evolution and Project Evolution Endless tiles? The primary reason to use these tiles is to make a bold and beautiful statement. This creates an aesthetic which suggests an endless continuation of smooth ceramic. These tiles are perfect for use in both floor and wall installation and in residential, public or commercial venues. They can also be used for the renovation of existing ceramic, marble or stone floors. 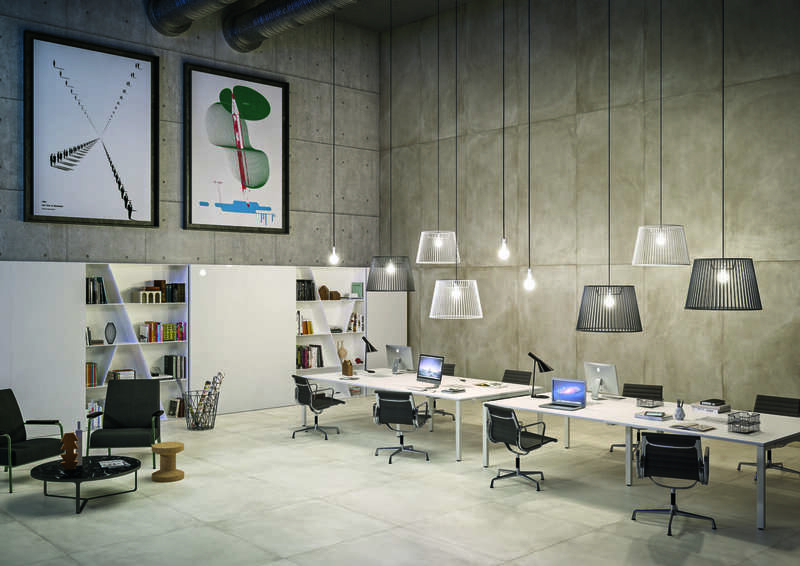 The new sizes create exclusive and co-ordinated surfaces and offer solutions for a wide variety of project types. Project Evolution Endless tiles size 160 x 320 cm is ideal for high walls. Used to create cladding that reaches all the way up to the ceiling without a single join. Meanwhile, the Project Evolutions tiles with the size of 119.5 x 239 cm. These offer a practical solution for creating cladding with less waste and cuts. The tiles are modular and offer the maximum aesthetic impact, whilst reducing the grouting joint to a minimum. Available in a wide variety of collections and colours, Project Evolution tiles would make for a striking aesthetic in almost any setting. Take a look at our Project Evolution range to see which tiles are available in these bold sizes. Contact us today to inquire about which Project Evolution tiles would best suit your next project.